The political debate over which political party should run the country is certainly increasing as the general election draws nearer. What happens when an employee holds less conventional views than many of his work colleagues? For example, let’s imagine that an employee is seen by some of his colleagues campaigning for a party that holds strong racist views and as a result they feel very intimidated and do not want to work with him. Or perhaps customers have discovered his connection and consequently refuse to put any business your way while he is still working there. What can an employer do? Well, they might have grounds to fairly dismiss the employee. However, caution is needed. Firstly, there are potential discrimination issues to consider (click here for details of possible Equality Act protection) but it is unlikely that the employee’s belief would fall within scope (not least because it is not likely to meet the “worthy of respect in a democratic society” threshold). Secondly, employees are protected from being dismissed because of their political opinions or affiliation. An employer would therefore need to be clear that the dismissal is not because of the employee’s membership or support of the political party with the extreme views but because of the effects that his association is having on his work. Otherwise, they could face allegations of automatic unfair dismissal (even where the employee has less than the two years of service that is often required for an unfair dismissal claim). Labour leader Jeremy Corbyn says he will take part in a seven-way BBC general election debate later. 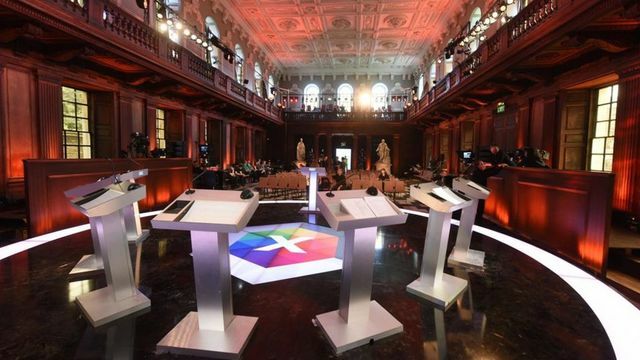 Lib Dem leader Tim Farron, UKIP's Paul Nuttall, SNP deputy leader Angus Robertson, Green co-leader Caroline Lucas and Plaid Cymru leader Leanne Wood will participate. Theresa May has refused to take part in any debates, so Home Secretary Amber Rudd will be representing the Tories.